The Bombay High Court recently directed maternity leave to be granted to a woman who had attained motherhood through surrogacy. The Bench, comprising Justice Anoop V. Mohta and Justice G.S. Kulkarni observed, “Having considered even Rule 551 (C) and (E) of Child Adoption Leave and Rules, we find that a case is made out for grant of interim relief in terms of prayer clause (b) as there is nothing in rule 551 (C) and (E) as referred above, which would disentitle maternity leave to a women who has attained motherhood through surrogacy procedure.” Accordingly, the Court directed the Central Railway to grant 180 days maternity leave to its woman employee. Nagpur Bench of the High Court last week termed corruption as the “hydra headed monster”, and called all citizens to “come together and tell their Governments that they have had enough”. Delhi High Court on Thursday stayed the State Government’s circular that had scrapped many criteria for nursery admissions, including management quota. The Court observed that the same was prima facie issued without any authority of law. The case will now be heard on April 18. The High Court quashed the requirement that multi-state cooperative societies would be registered initially with only two contiguous states/UTs as their area of operation. Division Bench comprising of Justices S. Ravindra Bhat and Deepa Sharma were hearing a petition preferred by the Evergreen Multi-State Cooperative Society Limited, whose application were rejected for the above said requirement. In a landmark ruling, the Delhi High Court recently held that the eldest woman of a Hindu Undivided Family can be its ‘Karta’, a term which denotes the managership of an HUF. A Division bench of the Kerala High Court on Tuesday decided to initiate contempt of court proceedings against Minister for Culture and Rural affairs, State of Kerala, Mr K.C Joseph for his alleged derogatory remarks against Justice Alexander Thomas, after the latter had criticised the inefficiency of the Advocate General’s office in conducting of the cases before the Honourable High Court in the midst of a hearing matter posted before the learned judge as per the rooster. The High Court in Maneesh E. Vs State of Kerala took a contrary view about issue whether sanction needs to be obtained before forwarding a complaint against Public servant for investigation or not, from that taken by another Single Bench in the case against Kerala CM. Providing its input on the existing debate on the rights of the LGBT (Lesbians, Gays, Bisexuals, Transgenders) community, the Madras High Court recently stated that the Centre must consider according LGBT community special status and recognizing them as a separate group for safeguarding their rights, including the right of privacy. The court in another case observed that a person who enjoyed the benefit of an interim order, is liable to compensate the other party, when the main case is decided against him. Division Bench comprising of Justices V.Ramasubramanian and N.Kirubakaran made this observation in S.Ramesh vs. M/s.Cethar Ltd. 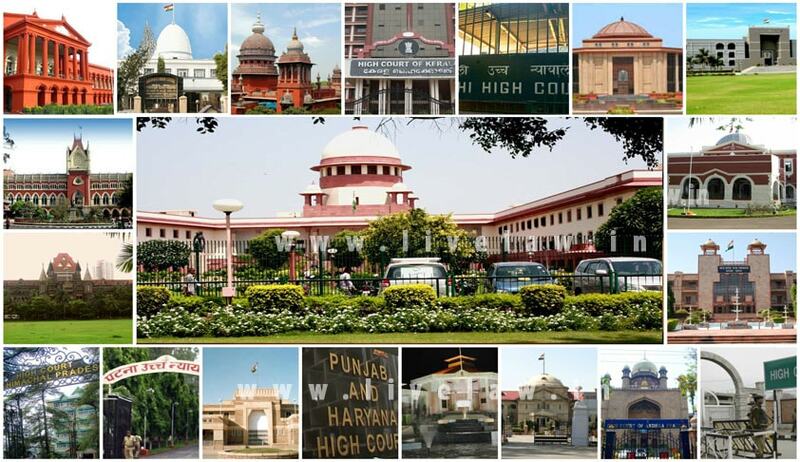 The Punjab and Haryana High Court held that foreign citizens living in India are also entitled to benefits conferred under Maintenance and Welfare of Parents and Senior Citizens Act. Justice H.S. Siddhu made this observation in Hamina Kang vs. District Magistrate.